On this week’s episode, we’re sitting down with Mercedes Perez, one of Toronto’s leading mental health lawyers and successful Charter appellant. Topics: community treatment orders; new order-making powers for long-term involuntary patients; and Charter remedies for hospital misconduct. Mercedes Perez is a co-founder of the firm, Perez Bryan Procope LLP. Mercedes has represented clients before a range of administrative tribunals and at all levels of court in Ontario, Federal Court and the Supreme Court of Canada. She practices in the fields of mental health and capacity law, Charter litigation, civil actions, coroners’ inquests, elder law, privacy matters, and complaints to the regulated health professions colleges. Mercedes represented the appellant in P.S. v. Ontario, a successful constitutional challenge to the Mental Health Act which resulted in the first significant amendments to this legislation in over a decade. She has received numerous amicus curiae appointments from the Ontario Court of Appeal in mental health and capacity appeals. Mercedes co-instructs the Law and Psychiatry course at Osgoode Hall Law School with Kelley Bryan. As a member of the Mental Health Legal Committee, she has prepared submissions on proposed provincial and federal legislative reform bills. 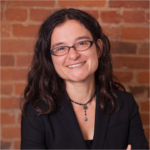 She has been a frequent speaker on capacity, constitutional and administrative law matters at law conferences and continuing legal education programs, including the Osgoode Certificates in Elder Law and Mental Health Law.